Senator Rilwan Adesoji Akanbi, reaching out to Oyo state people. | Welcome to Dare Lasisi's blog! Senator Rilwan Adesoji Akanbi, reaching out to Oyo state people. The activities and programmes to mark the two years in office of Senator Rilwan Adesoji Akanbi popularly known as SOJ representing Oyo South Senatorial District at the Red Chamber of the National Assembly,Abuja,further gathered noticeable momentum on Wednesday ,26th July 2017,when the vibrant and articulate lawmaker who has bought unprecedented development for the people of his senatorial district in terms of dividends of democracy ,physical infrastructures, empowerments and communal development further extended his good works to two popular secondary schools in the city of Ibadan. Many other special guests, important dignitaries and those who matter in the society especially personalities who have made noticeable impacts in the area of education sector, religious sector,private and corporate organizations and industries, as well as humanitarian and communal services were also part of the entourage that followed Senator Adesoji Akanbi to the two popular secondary schools namely ;Nawaru Islam Secondary School,Eleyele road,Ibadan and Cheshire High School,Ijokodo,Poly road,Ibadan to commissioned some projects. The projects commissioning event were also made colorful as it attracted many politicians of repute in Oyo State ,the list of which are too long to be enumerated. 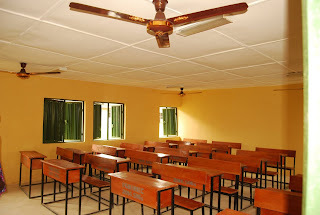 The first place of the project commission for that day was at the Nawaru-Islam Secondary school,Eleyele road,Ibadan.Senator Adesoji Akanbi constructed and donated a block of three classrooms equipped with modern facilities like ceiling fans ,white marker board, wooden chairs and tables gripped at the edges with iron to prevent and guard against breakage, as well as electrical facilities to make study and learning conducive for the students of the schools . The floors of the block of 3-Classrooms were also terrazzo with attractive wall paint to lift the beauty of the building. Also donated for Nawaru-Islam secondary school by Senator Akanbi were 2-faces of modern VIP Toilets and a modern borehole to solve the problem of water shortage and scarcity in Nawur-Islam Secondary school. Part of the excitement of the project commissioned were the traditional dance and cultural display by the students of Nawaru-Islam Secondary school to appreciate the teaching and learning facilities donated to them by Senator Rilwan Adesoji Akanbi. The entire staff and teachers of the school were also full of praises as they continued to shout “Senator SOJ, we love you, we thank you” on sighting the lanky lawmaker. The Principal of the school, Mrs. Sadiat Adeniji who also showered encomium at Senator Adesoji Akanbi for contributing immensely to the educational upliftment of the students of Oyo state. 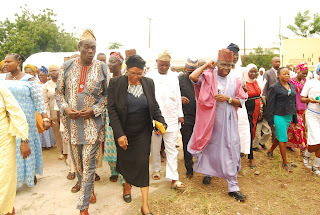 Also at the occasion, several dignitaries and guests at the project commissioning includes; a powerful representation of the members of the Oyo State House of Assembly led by the Deputy Speaker of the State House of Assembly,Hon.AbdulWasi Musah, accompanied to the project commissioning were the likes of Hon. Olaleru John Adebayo who is also the Deputy Whip leader of the House, Hon.Olusegun Olaleye (a.k.a Radical) and ,Hon.Lukman Balogun. They all showed enthusiasm at the performance of Senator Adesoji Akanbi at the National Assembly in the last 2years ,saying they were highly impressed at both his legislative duties and also at the way and manner he is spreading dividends of democracy to members of his senatorial district and even in the entire Oyo state . 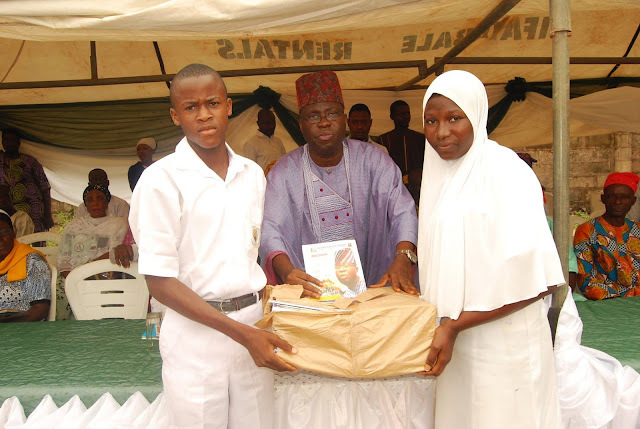 Senator Akanbi also distributed exercise books, writing materials, as well as compendium of 30years of past questions &answers in both English Language and Mathematics to the students and teachers of the school to further enhance their comprehension, learning and positive performance in teaching and examinations. 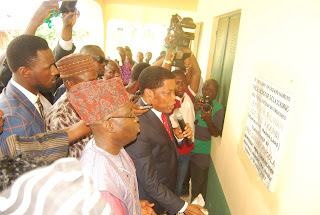 At the second place of project commissioning which was at the Chesire High School,Ijokodo ,Polythechnic road ,Ibadan. 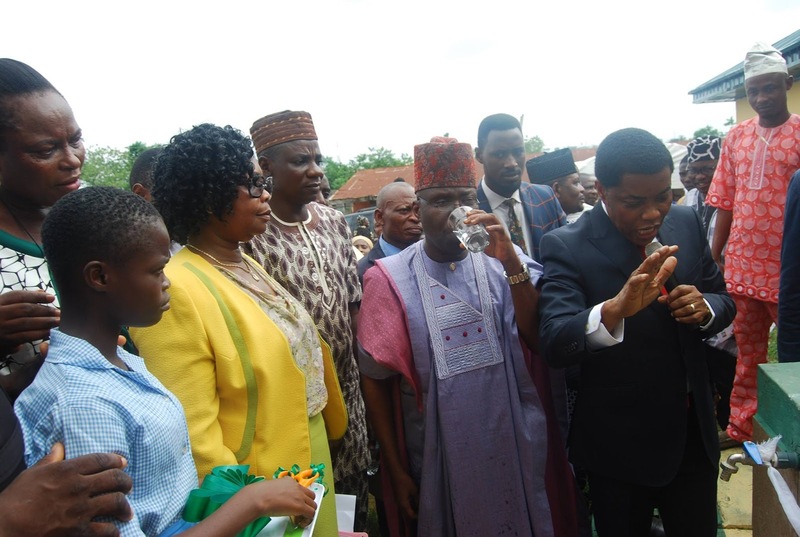 The General Overseer and Pastor-in-charge of World Communication Ministry International (WOCOM),Apostle Sunday Popoola,who was the special guest of honour also accompanied Senator Adesoji Akanbi to commissioned a block of 3-Clasrooms ,a block of 2-faces VIP modern toilet and a motorized borehole with the aim of banishing the problem of water scarcity in the secondary school. 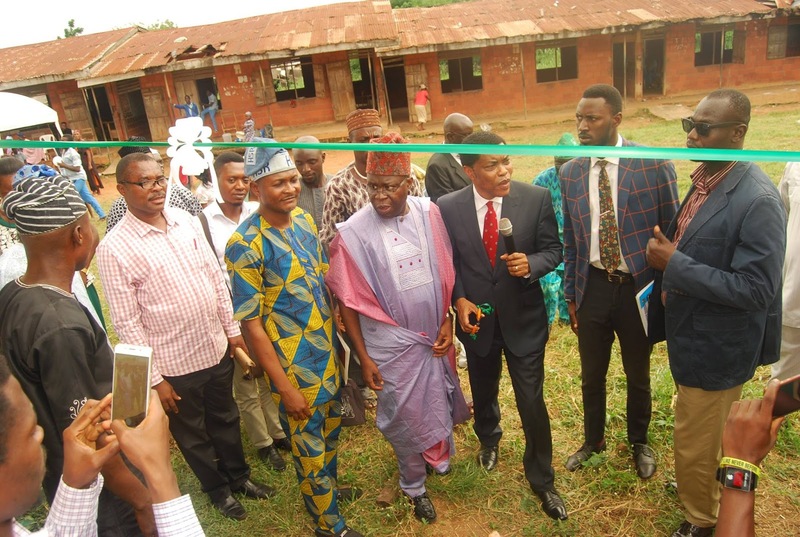 Furthermore, the Oyo State Commissioner for Education,Science and Technology ,Professor Joseph Adeniyi Olowofela ably represented by an Assistant Director in the State Ministry of Education ,Mr. Salami also accompanied Apostle Sunday Popoola ,Senator Adesoji Akanbi and other dignitaries to commissioned the projects donated for the Chesire High School. The Principal of Chesire High School, Mrs. Kofoworola Adesola Akintokun on behalf of both students and teachers gave kudos to Senator Adesoji Akanbi for contributing immensely towards educational development of the state and also lauded the humanitarian gestures and efforts of Rilwan Adesoji Akanbi Foundation (RAAF), in its regular supports for Cheshire Homes in the last 10years ,especially for taking care of the physically challenged and the less privilege in the special Home. This she said is high appreciated and unprecedented in the Home. She also thanked Senator Adesoji Akanbi for collaborating the effort of the state government in the area of public-private partnership in the educational reformation of the state. aspect of the activities of the 2-years of Senator Akanbi in office was the Cash Empowerment Programme for the members of the All Progressives Congress (APC) in Ibadan-North Local Government of Oyo State. At the Cash Empowerment Programme, over 150 members of APC in Ibadan-North Local Government of the State were given cash for their betterment to appreciate their unflinching supports and loyalty for the advancement of the party in the state. Welcome to Dare Lasisi's blog! : Senator Rilwan Adesoji Akanbi, reaching out to Oyo state people.